Elizabeth Nardone teaches music for Settlement and for the Community Partnership School in Philadelphia. At Settlement, Elizabeth conducts the Beginning and Junior orchestras for the MEP programs at Pastorius and Thomas Holme Elementary Schools. 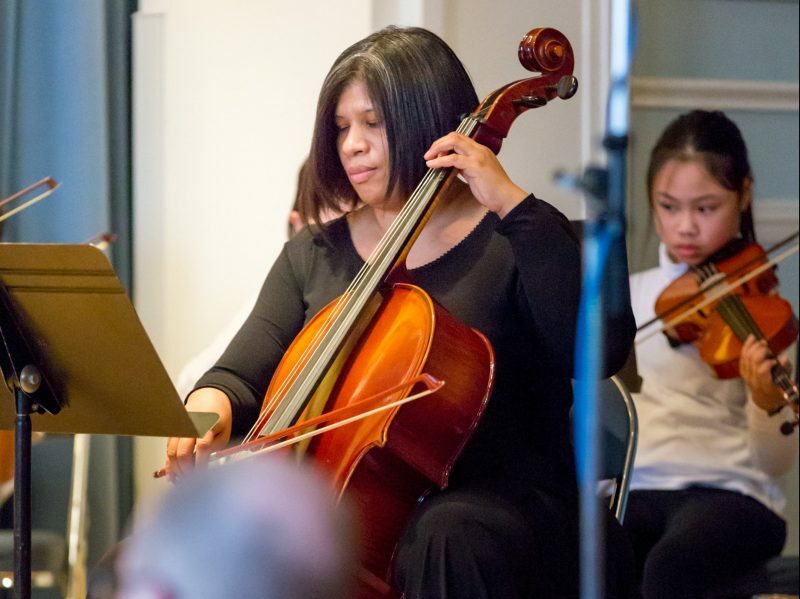 She also conducts the Junior and Intermediate Orchestras at the Germantown Branch and the Intermediate Orchestra at the MLC Branch. Elizabeth most recently earned her Masters of Music Education from Temple University in May 2018. She also has a Masters in Suzuki Cello Pedagogy from the University of Denver and received her undergraduate degree in cello performance from the University of South Carolina. When she is not teaching, Elizabeth enjoys running, reading, and gardening. She also loves to climb mountains in Colorado every summer.